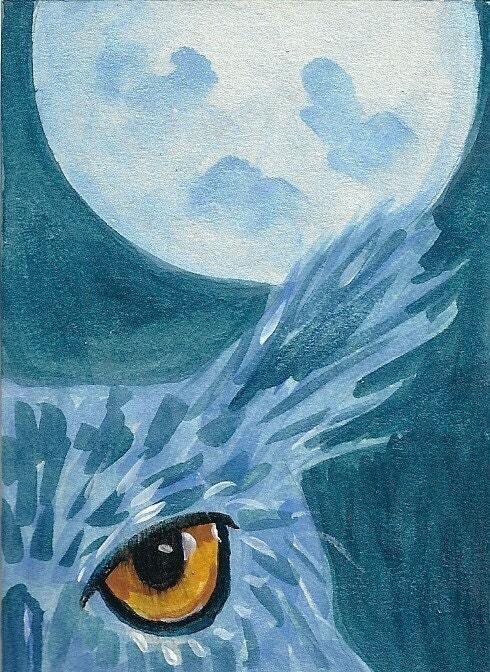 This image is from an ATC I did for an abc/atc exchange, "O" is for Owl Moon. I love his haunting eye! I have added a touch of shimmery glitter to the edge of the moon. Each notecard measures approx 4x5" and comes with a white envelope in a cello sleeve. The card is left blank so you can write your own special message.